The number of EU residents applying for British citizenship has jumped by more than a third in the last year, with people seeking to retain the right to live and work in a post-Brexit Britain. According to figures from the Passport Office, more than 13,000 people have applied for a British passport in the last year, up 35 percent from 2015. 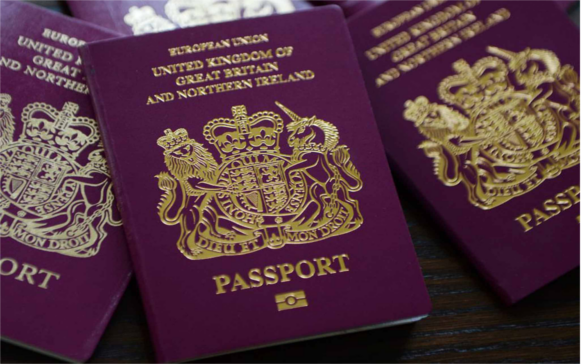 The figures, released to the Financial Times through a Freedom of Information (FOI) request, show that France is the country where the most EU citizens have applied for British passports, with 2,369 people applying last year, a 28 percent surge from 2015. There was also a 60 percent rise in Germany, where 2,140 applications have been submitted. The surge was particularly noticeable in the month following the EU referendum in July. According to figures from the FOI, two thirds of the applications were submitted by parents on behalf of their children, as in the case of Marjorie Wessel, a Briton living in the German city of Düsseldorf, who applied for a British passport for her daughter, a Dutch passport holder, so that she could have a “home” to return to in the future. “I am always going to be a foreigner [in Germany],” said Wessel, who has a Dutch husband. “The UK is one country where I really belong. And my children, too, want to put down some roots and call somewhere home,” she said, according to the Financial Times (FT). Just which rights EU citizens in the UK, as well Britons living abroad, will retain in a post-Brexit scenario has been one of the main subjects of debate between the UK and the EU. It is thought that a growing number of people are flocking to apply for British citizenship because they are concerned that they will lose important rights in a post-Brexit scenario. There are currently 2.9 million EU citizens living in the UK, and up to 1.2 million Brits living elsewhere in the bloc. Though Prime Minister Theresa May initially faced backlash for refusing to guarantee the rights of EU citizens in the UK, at a meeting with EU Commission President Jean-Claude Juncker at the beginning of the month, the two parties seem to have agreed that sealing a deal on expats’ rights should be a priority, with May saying a deal should be carved out as early as June. The findings follow reports that emerged last month showing that a growing number of Britons are applying for French residency in order to retain EU citizenship after the UK withdraws from the bloc when the two-year negotiating process concludes. According to the French consulate in the UK, the number of applications for French passports almost doubled in the first quarter of 2017 compared to that for the whole of 2016.